With Bridal Fashion Week underway, we wanted to share with you some bridal trends that will be popular within the next year! Pulling from top designers’ latest creations, shown in our Dress Gallery, and what’s inspiring us in Real Weddings now, we’ve created a bridal fashion forecast featuring the top 5 trends we hope will be a big hit in the year to come! Off-the-shoulder gowns offer a timeless, elegant feel to the most romantic day of your life. Exposing the décolletage creates an intimate, effortless beauty that’s perfect for any bride. Who said bridal gowns are always white? Extraordinary designers like Sareh Nouri and Monique Lhuillier are pushing the limits of what’s traditional by adding unique colors to their designs this season, creating immaculate, eye-catching gowns. Giving bridal week a fresh new look to wedding gowns, designers are bringing in the mid-drift. Exposing one of the most flattering parts of the body makes any bride cool and confident on her big day. This look is sure to be a winner this year! Bridal crowns aren’t what we’re predicting this year. 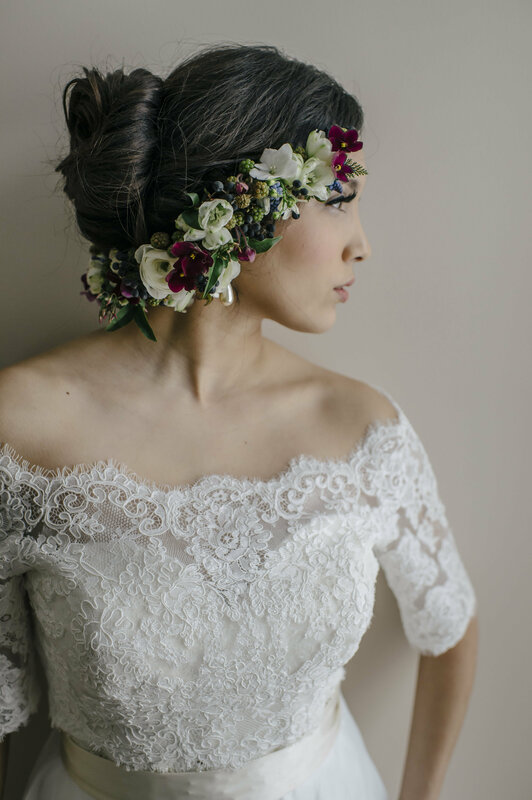 We can’t wait to see more colorful florals uniquely placed throughout the bride’s hair. This whimsical look adds a touch of color to a bride’s overall look. Truly creating a one-of-a-kind day, brides who wear wedding gowns made from other once used items showcase a unique look that would be found nowhere else. Whether the items be sentimental or not, the dress is sure to be an original. Top-designers have already jumped on the trend! Joelle Perry created a repurposed gown using a 1940’s table cloth. Love these dresses as much as we do? 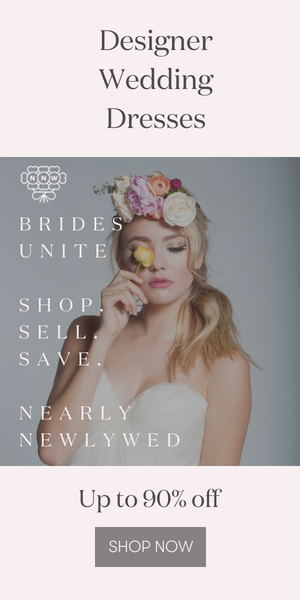 You can keep up-to-date with the latest in bridal fashion by checking out our Dress Gallery and become inspired with all things wedding looking through our Wedding Photo Gallery. I’m inspire to see your dress-up and get-up .